The neck is a very vulnerable part of a man’s body. Protecting it from either the sun or the cold is a classy and smart things to do. However, you shouldn’t just throw any old piece of cloth around your neck without first consulting your man manual. You know, that brass, shiny bit of common sense that you keep tucked underneath your gentleman’s cap. 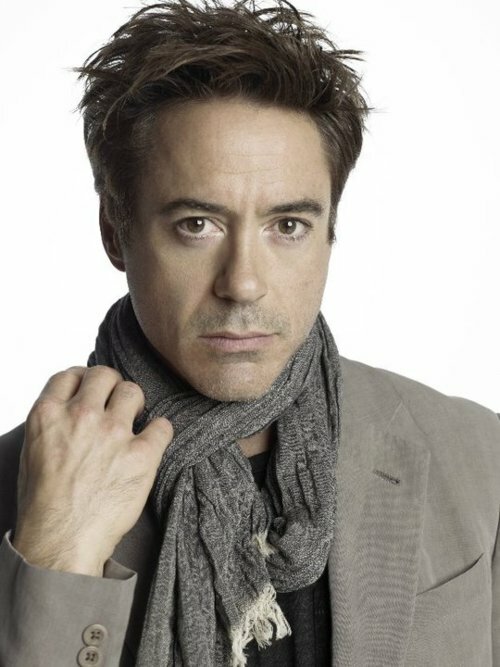 Let’s look at a few examples on how to wear a scarf like a man. A scarf should have purpose. Now some will tell you that it needs to be cold outside to dawn a scarf, but we also believe that a scarf is a bit like a pocket square, in that under the right set of circumstances it can brighten up a dull wardrobe in less time than changing your shirt. The first time scarf wearer may want to ensure they are in the safe zone. We’re talking neutral colors, skulls, wool, and maybe a little fringe. Okay, so the Alexander McQueen Skull Wool and Silk scarf (left) has a little silk in the mix, but your secret is safe with us. 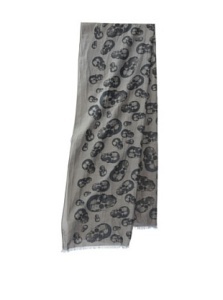 John Varvatos also makes a great Skull Print scarf (right) in cast iron. Yeah, the scarf isn’t exactly iron, but the color is certainly manly. 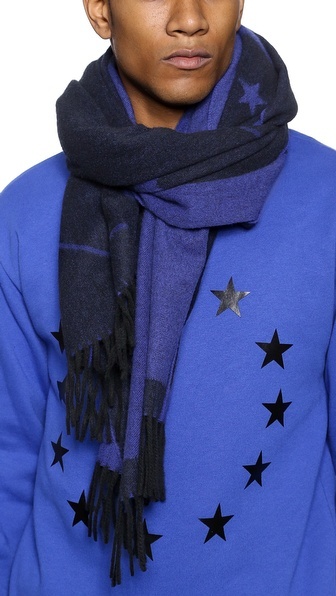 The Etudes Studio scarf (above) features a classic cut, 100 percent wool, and offers a touch of color, while still remaining in the “color safe zone”. But sometimes a guy doesn’t need to be in the safe zone. 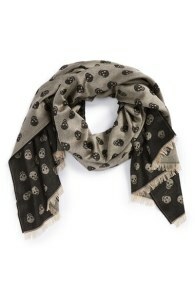 You’re confident, bold, and have gone beyond the skulls, neutral colors and wool, and are ready for dots and cashmere. 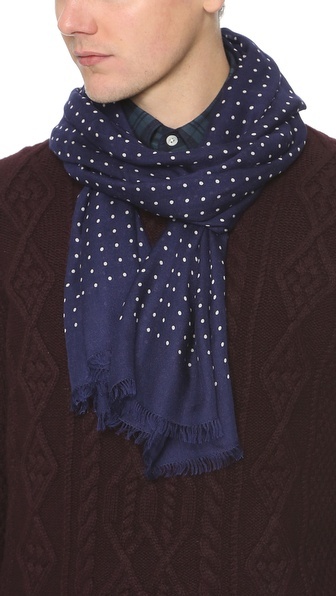 Seriously, under the right jacket, a Drake’s Dot cashmere scarf (above) can make you one of the most interesting men in a room—and in a good way. 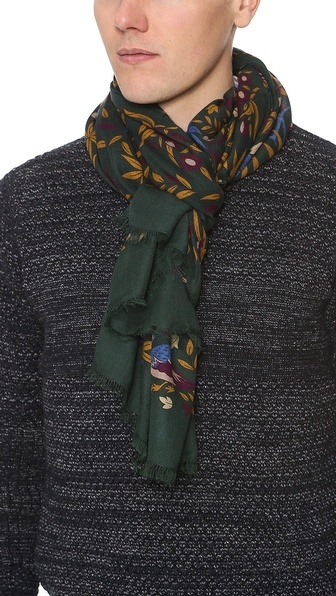 And even more bold and colorful, with a twist of machismo, is the Drake’s Bird of Paradise scarf (above). Nobody ever said being a man meant you had to always be neutral. Find your wild side, but if your fashion sense is a little rusty—you can always find it in your scarf, and that way you will remain somewhat grounded within ‘fashionable reason’. 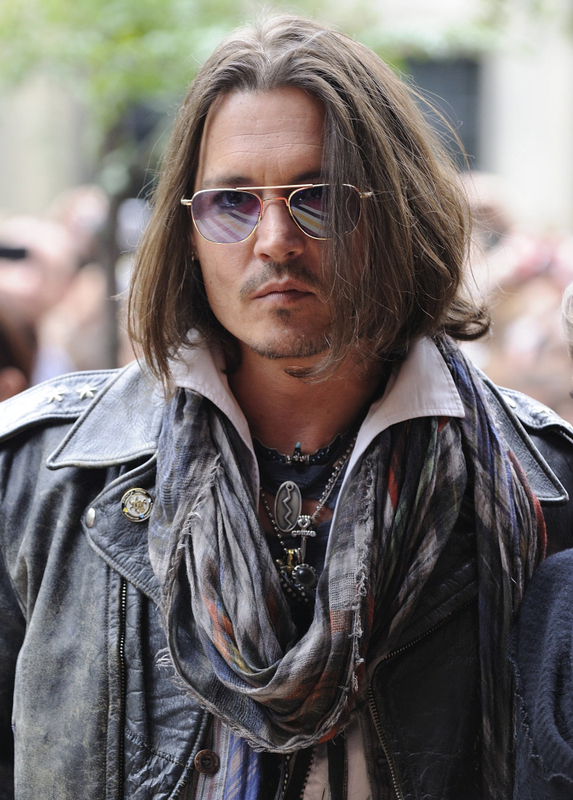 Now please refer to Johnny Depp and Robert Downey Jr. to further demonstrate how it’s done.